Your mobile home can get every attention to the detail in a remodel that a regular "stick built" home would get. If you own one or are looking to buy a moble home don't overlook the many options to upgrade it to current standards of safety while improving its aesthetic appeal. We can do much more than just new carpet and paint. Almost everything can be upgraded and/or improved. If you are wanting to have new wall texture and paint; it would also be an opportune time to add or delete any electrical while the sheetrock is waiting to be resurfaced and the walls are open. Insulation upgraded can also done at this time. Dated kitchens and bathrooms are often remodeled creating convenient warm living spaces for the modern world. Click the image above to see some before and after photos or this link Mobile Home Remodels. Call us at Alpine today so we can schedule an appointment to come out and see what we can do to update your home. 1. Weather Stripping - Check to see it is in place and not cracked, rotted or missing. You will be warmer and save money. 2. Air Conditioners - Clean and/or service your air conditioner so it is protected for the winter and ready to go for summer. Make sure your humidifiers are clean for the winter season so that bacteria and other unwanted pathogens do not grow in dirty water tanks. 3. Chimney - Get a qualified expert to clean your chimney also necessary is checking the wood stove gaskets and glass. Fall weather can be a perfect time to have a professional evaluate your home needs for caulking and paint. Depending on how your previous paint job was done you may be surprised to learn your home is in need of preventive maintenance now. 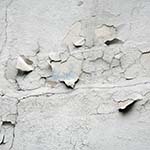 If caulking is dryed up and cracking it will not be protecting your home. Also when paint begins to peel it is time to get a "tune up" before any real damage is done. Give us a call or email to set up an appointment with our in-house painting contractor Mark. 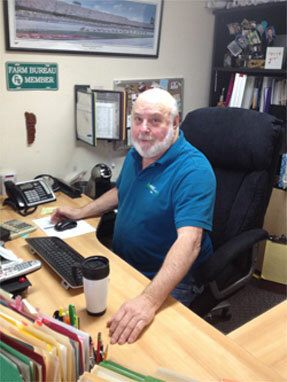 He will be more than happy to help you choose the right colors and products when he gives you a personal estimate. Upgrading sheds are a hot new item. 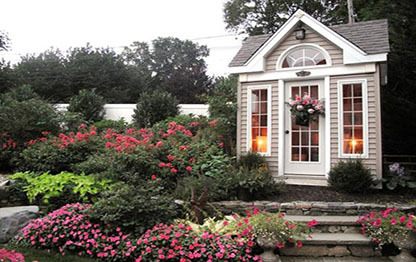 Home owners are upgrading their garden sheds or out buildings to be either a gorgeous garden shed or add extra living space for their home. Our professional team can help you decide if you will be allowed to put in a full bath, kitchenette or just a bedroom/playroom. If you are doing plumbing and electrical you'll want to make sure it is safe and done with permits. We handle all the permitting process for you. August 24th this month marks the anniversary of the devastating 2014 Earthquake that tried to put Napa out of business! Our charming historical sites were damaged as well as more modern structures to the tune of more than $360 million dollars. This report came out detailing some of the reasons why so much damage was done. A Year After South Napa Earthquake. Many of our Napa Valley neighbors have had their homes inspected and repaired. We are still getting calls for such work. Foundations, chimneys and other structure damage is critical to get done now before the next quake. My crew is also busy going out to homes who did not suffer damages the last go around but want to make sure their foundation and other structures are secure. Getting your house bolted down and braced is one of the best ways to prevent the damage we saw just a few months back. Call us today so we can schedule a qualified worker out to see what needs to be done to repair or better yet prevent. Are you wasting time and money looking for your "stuff"? Or are you paying for a storage locker? You may be able to solve both problems once and for all with garage organizers. Remodeling with great looking cabinetry, organizing walls and beautiful flooring options can make your life so much easier. 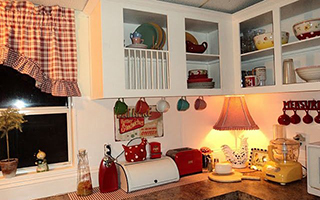 Make a list of the types of activities you want to do in your garage and items to be stored. Then we can set up areas for each. Work benches with electrical outlets, roll out cabinets that store under overhead cabinets, hooks and brackets for large items like bikes and skateboards are just a few options. Give us a call and we can give you an estimate to customize your garage. June is here and so is the sun! Our gorgeous weather in Napa Valley is one reason why we live here. The heat of the summer gives us wonderful summer gardens with tomatoes and other veggies that are the envy of people everywhere. It also makes for great wine as our grapes soak up the sun. However, when you have had enough and need some shade from the blazing sun, we can help. Alpine Construction can build you a custom cover for your deck. Cooling off and entertaining on a shaded deck will extend your enjoyment of the great summer season that is just beginning. Call us today to get an estimate for your project. Napa Valley nights are perfect for entertaining or just relaxing outdoors on your deck. Add some extra sparkle with lights. 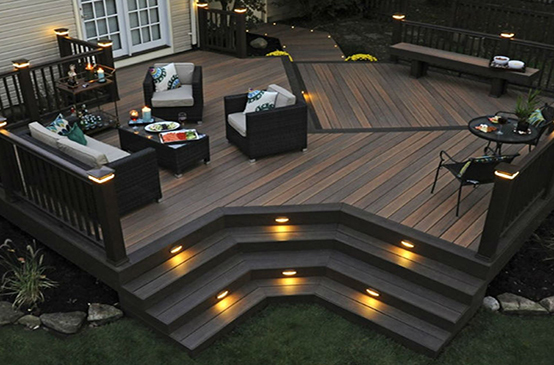 As a TimberTech specialist we can build new or remodel your deck with the latest LED lighting system. Lighting on the porch and stairs will also add a measure of safety for your family and guest. 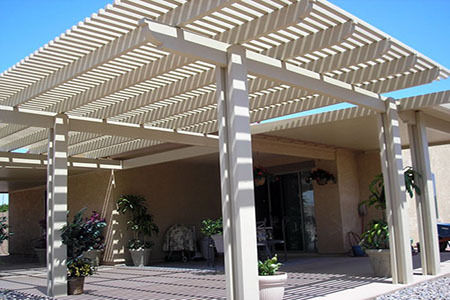 Let us help you create the perfect look for your outdoor space. Whether your style is more traditional, or you have a love for the beach, we can help you choose the products that best match the style you are trying to achieve. Don't let the winter and spring weather catch you unaware in regards to the security of your basement and foundation. Undetected earthquake damage or just wear and tear can lead to a disaster. Our workers can inspect and repair any problems now before they cause a big problem. A basement can be prone to flooding, take action now to prevent it this season. Foundations that are not properly constrcted or are failing can lead to the loss of the entire home. To keep water erosion to a minimum clear gutters of debris and position downspouts so they (ideally) lead at least three feet away from the house. Fill foundation cracks with epoxy to minimize the chance of leaks, and invest in window well covers to keep rain out of below-grade windows. 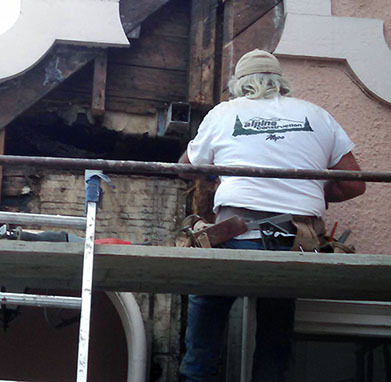 Alpine's construction crew can take the worry off of your mind by getting the job done in no time - call us today. Napa homeowners can apply for incentive payments of up to $3,000 to help them strengthen their homes against the next earthquake. Registration is open through March 22, so give us a call or get the details by clicking on the Napa City logo to the left. You will notice that this website indicates that the Napa EBB encourages home owners to use licensed contractors experienced in seismic retrofitting. They say in part "The new Napa Earthquake Brace + Bolt Program (Napa EBB) helps pay for seismic retrofits to houses that are most vulnerable to catastrophic damage: pre-1979 houses that aren’t bolted to their foundations, include a crawl space and have unbraced “cripple walls” (low walls between the foundation and first floor). In a strong earthquake, the crawl space is vulnerable to collapse, causing the home to slide off its foundation." Alpine Construction is experienced in this retrofit and can help you get your home ready for the next big one. The website will also help you determine if you qualify for this financial help. Call us today to talk over your options. How can the front of your home "Make a Statement"? It has been said not to judge a book by it's cover - but people do. Your front door is the first thing a persons sees when approaching your home. Take a fresh look at how your home appears to a visitor. Is it clean and tidy? Is the front door outdated and paint faded? How about the lighting? Is it attractive while safely lighting the path to your door? An expanded remodel might include the garage door and siding. 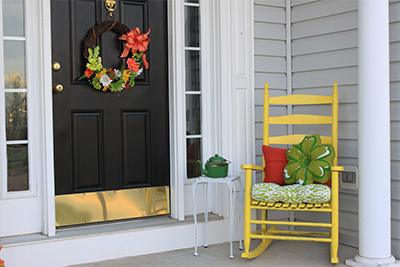 You would be surprised how much these items can add to the look, comfort and security of your home. Our knowegable staff can give you an estimate for whatever level of update to the front of your home you desire - to painting your current door and updating the hardware or to installing a new one and more. Give us a call to make that appointment today. Now that the holidays are over and everyone has gone home it is time to take stock of what you need to do to get ready for spring. Winter is a great time to get that fresh coat of paint inside. And - no, the newer paints do not have the odors that we associated with fresh paint in years past! You can do one room, an area or the entire house. If you choose the kitchen or bath, consider a new backsplash to really add sparkle to your home. Having a professional paint your interior is such a treat. Choose your colors and let us do the work! Just for fun try this link to Sherwin-Williams Color Visualizer to see what color can do. Give us a call or email to set up an appointment with our in-house painting contractor Mark. He will help you choose the right colors and products as well as give you a personal estimate. "I heard that older mobile homes have electrical issues. What should I be aware of when buying one or remodeling mine? " Yes there can be depending on on the age. Homes in the 1970's had aluminum wireing and some home owners like to have their home rewired to help prevent fires. Also you need to know the amperage of your home and the park before you do any work on it. Many homes had only 30 - 50 amps. in "the day". We can look it over for you and let you know what your options are - just give me a call. "I don't know what kind of insulation is in our attic. What should I look for? " Remember over insulating can cause other issues as well as waste your money so if you need help give me a call and we will make sure it gets done right. 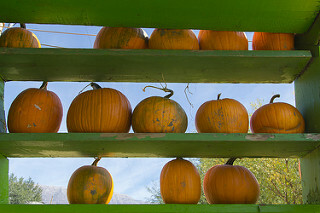 "What are the most important things to do for my home in the fall that I can do myself? " 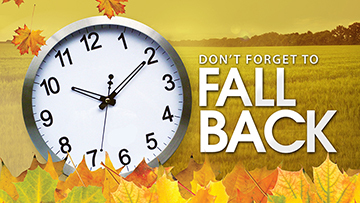 Make sure your outdoor lighting is working as days get shorter. Check your smoke and carbon monoxide detectors to make sure they are good working order. "I missed the deadline for the special EBB program Napa had going for earthquake retrofit. What should I do now? " Sorry to hear that. However, the threat of earthquake damage is not over. I recommend having your home checked out ASAP to see what it needs to make it safe now. Then when and if the program is refunded you will be ready to go. Also it might be less that what you are worrying about and you may be able to just get it done now and put the worry behind you. Call me and I will see that you get an estimate right away.